1. Place the slices of watermelon on a baking sheet lined with plastic wrap. Place another sheet of plastic wrap on top of the watermelon. Put the slices in the freezer until they are completely frozen. 2. In a large bowl, combine all the remaining ingredients. 3. 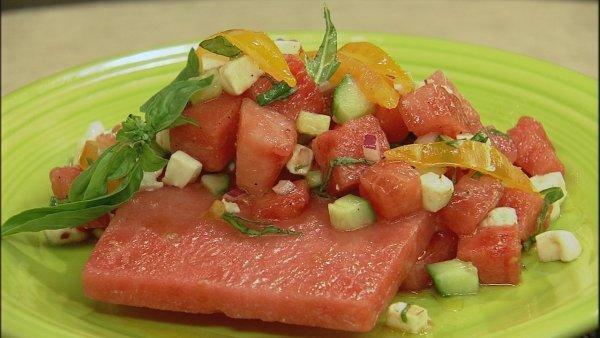 To serve, place a frozen piece of watermelon on a plate. Top with the salad and serve.